Imagery provides more than just plain pictures. Some sensors detect energy beyond what is humanly visible, allowing us to “see” across broad swaths of the electromagnetic spectrum. This enables scientists, geologists, farmers, botanists, and other specialists to examine conditions, events, and activities that would otherwise be hidden. The implications are profound and the applications are seemingly endless. Every day, the earth is directly imaged from scores of sensors in the sky and from orbit in space. 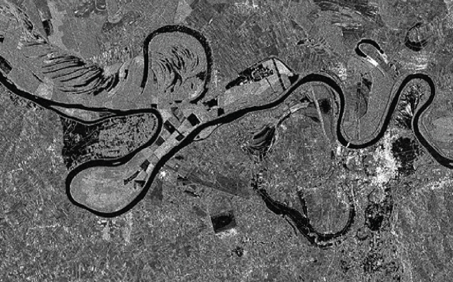 Almost everything that happens is measured, monitored, photographed, and explored by thousands of imaging devices mounted on satellites, aircraft, drones, and robots. Much of this information ends up as imagery that is integrated into a large living, virtual GIS of the world, deployed on the web. Some of these sensors see beyond what our eyes see, enabling us to view what’s not apparent. Multispectral imagery measures and captures this information about a world that has many more dimensions than just the colors of the rainbow—it sees past the limits of what our eyes perceive. Nicaragua’s Momotombo Volcano awoke with an explosive eruption in December 2015. This false color image highlights hot areas, primarily the lava flow that extends to the northeast. Other active sensor technologies such as lasers and radar beam out signals that are reflected back at the speed of light, adding even more information to the collective repository. Some image sensors can see through clouds and under trees. Some detect things too subtle for any of our senses to distinguish. The richness and immediacy of this information is leading to a heightened understanding of the natural processes and human activities that influence our communities and environment. 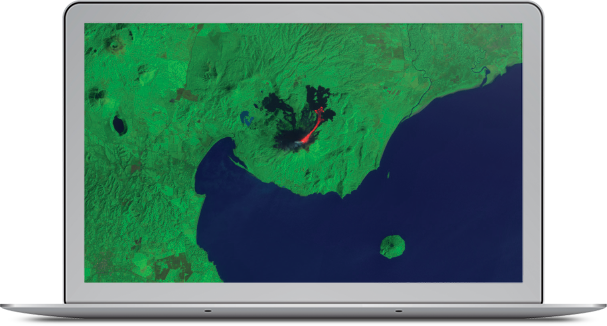 The ability to gather and exploit these new information sources is increasingly important to GIS practitioners. 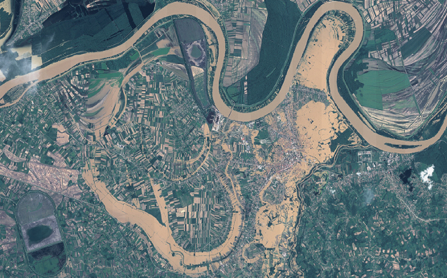 This has been the mission of the remote sensing community since the first camera went up in an aircraft, and today the output from these sensors, across all the spectral ranges, is absolutely essential in enabling people to make better decisions. The new kinds of multispectral sensors used in scientific work and analysis function the same way in GIS as the traditional natural light scenes; the basic principles are the same. These days, the speed and extent of collection and transmission means that the information is more immediate than ever, enabling us to make vital comparisons in near real-time after major man-made and natural events occur. For those involved with marine mammal surveillance, infrared analysis in both daytime and nighttime conditions is an effective means of building accurate species inventories. The French organization Réseau d’Observation du Littoral Normand et Picard uses imagery for several platforms to study the evolution of the coastline from Normandy to Picard. 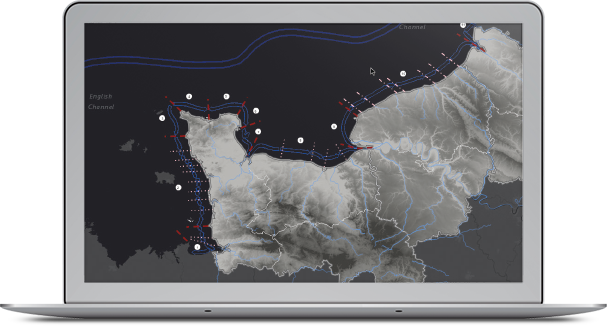 Presented in French, this stunning story map tracks the transit of sediments, sands, and gravel in the coastal strip as carried out by the action of tidal currents, waves, and prevailing wind. Coastal erosion is having a significant impact on the beaches and cliffs. These views from near Tehran, Iran, show a natural color band image on the left and short-wave infrared (SWIR) image on the right. Note how one particular rock top pops out in pink using the SWIR bands and is not as easily discernible in the natural color band combination. The variation in rock types allows analysts to easily identify specific mineral patterns, greatly narrowing the search areas for particular materials.